Raspberries and liquorice is a classic and also very popular combination. The sweet aromatic raspberries merge with the fine liquorice’s more earthy sweetness and bitterness. Here we demonstrate the most popular way to serve Salmiakkola sauce. Vanilla ice cream with fresh raspberries. 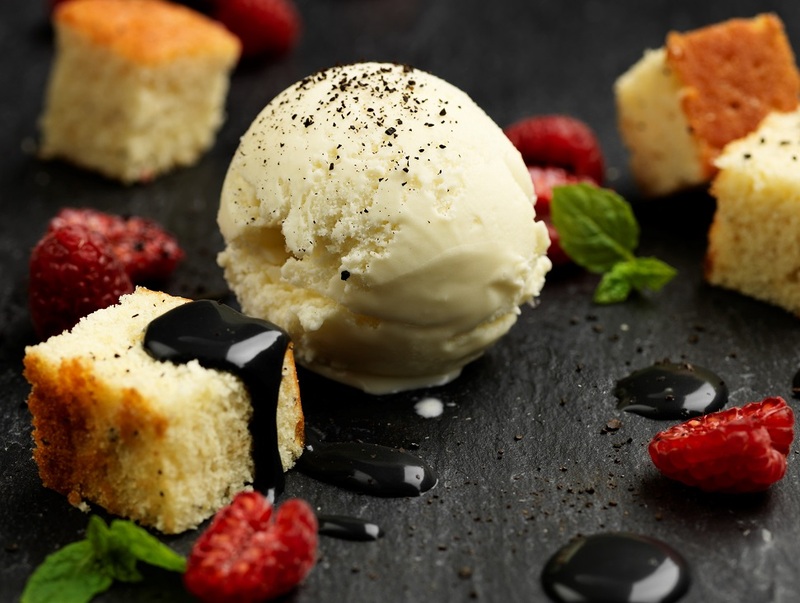 We have also added sponge cake cubes – so it becomes like a little ice cream cake when you curl Salmiakkola sauce on top of this taste sensation. Warm the sauce gently if desired. And enjoy!